In Germany, Wolfgang joined the German Shepherd Schutzhund Club, Verein fuer Deutsche Schaeferhund Rems-Wieslauf in 1978. He started working with an old-fashioned dog trainer who taught him to interpret a dog’s behavior, before he would start working with the animal. This meant that he had to understand what situation the dog was in, the temperament of the dog, and how much confidence the dog has, in order to find the correct method to have the dog attain his fullest potential. Stress was always present and Wolfgang was able to teach the dog how to best handle it. Wolgang soon discovered that he had a natural talent for working with a dog’s emotions. Sensitivity, inner emotions, and confidence all played an important part. At this training facility, all the dogs were worked in defense and very little in play drive. Dogs that took their job too seriously bit Wolfgang. In this way he learned how to ignore the pain, and show the dog no reaction, so that the dog became frustrated, thereby obtaining better results than if he showed his pain and fought back. The other dogs that lacked confidence, courage, and aggression were shown pain and fear by Wolfgang, which made the dog stronger and built up his confidence. Soon other local Schutzhund clubs with other breeds of dogs approached Wolfgang to be their agitator, which helped build the dogs in protection. It soon became his specialty. It was in this way that Wolfgang became acquaintedwith the temperaments of other breeds. It showed him how difficult it was to read the temperament in breeds, other than German Shepherds. He found that when a Doberman goes into defense he doesn’t show much aggression, while a Rottweiler, when he shows a stiff body posture, licks his nose without opening his mouth, will become dangerously serious. Then there is the Malinois, who always works naturally in a high stress level, but he is never entirely trustworthy. The Giant Schnauzer is an airhead and it is very difficult to get them focused. Boxers are sweet, nice family dogs, which have limited possibilities for being a protection dog. With this knowledge Wolfgang learned to change the way he worked with the dogs in protection. With breeding and environmental changes, and that in today’s society dogs must be more socialized, he found that aggressive dogs were not the most desirable. So, from that time on, he worked more in play drive and in building a higher drive, which made it more fun for dogs to learn. It was at this time that Schutzhund went more to a sport and protection training, thereby making it less dangerous. In the 80’s Wolfgang became a member of the ADRK and worked with many Rottweilers in Germany. This led him to become the agitator at Schutzhund trials. 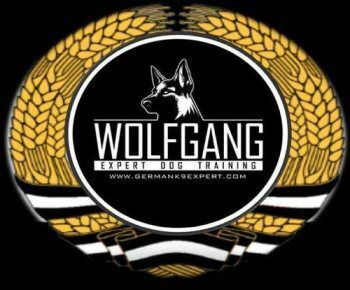 When Wolfgang came to the United States in the 90’s he developed Schutzhund seminars that he gave all over the country to private parties and police agencies. His main focus was to fix problems that dog owners frequently encountered. The seminars gave him the opportunity to work with many characters and personalities. It also gave him the chance to train dogs for the Bundessiegerprufung and the World Championship. In the middle of the 90’s, the German army (Bundeswehr) contacted Wolfgang to train their security officers to become K-9 handlers. Twice a year the army’s judges conducted tests of my K-9 security teams. After achieving a high level of success, a major security company contacted him to train K-9 teams at top level German security bases. After completing his German Army contracts and reaching the top, he decided to follow his dream to California. 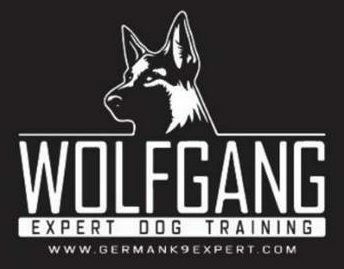 In 2000, Wolfgang opened a training facility in Los Angeles. There he trained and titled dogs for German Shepherd breeders. In some years he titled as many as 50 dogs from Schutzhund 1 to Schutzhund 3. Soon people from Hollywood came and wanted personal protection, home protection, and protection against carjacking. This was not all that different from his security training at German army bases.